Situated in Fort Pierce, Florida, Florida Center for Recovery is a facility that provides inpatient addiction services to male and female individuals seeking treatment from chemical dependency, gambling addiction, eating disorders, and many more. 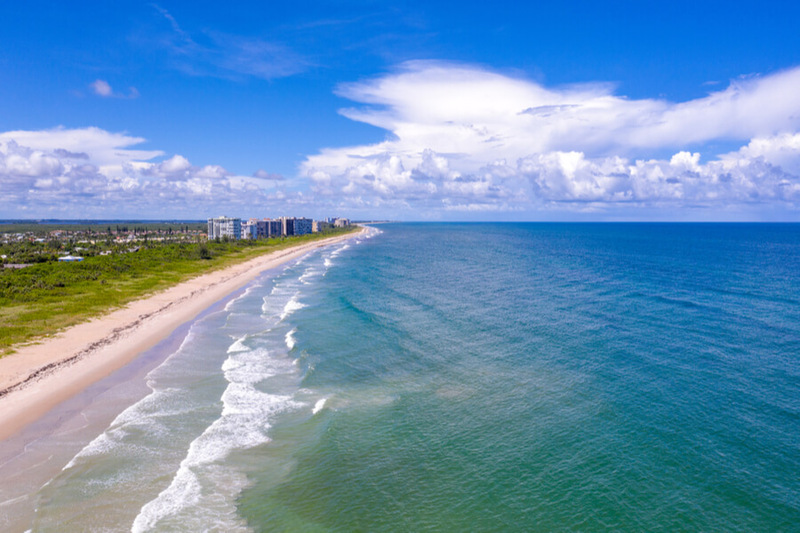 With a beautiful beachside view in the private community of Fort Pierce, the treatment center began in 2002 offering treatments and services to individuals battling with process addictions, substance abuse, and other mental health conditions. On admission, clients are assessed to determine the level of care and the kind of treatment required. This evaluation is very extensive and is very important. A detox center is available on-site and occurs within the premises. This medical stabilization is supervised by a local hospital doctor or practitioner. After this assessment is done, drug and alcohol counselors, board-certified physicians, certified trauma therapists, and licensed psychologists work together to determine the best care for the client. The treatment plan varies from individual to individual and therapeutic protocols are utilized in order to provide a well-rounded treatment plan. The treatment is created to cover all aspects of physical, mental, and spiritual. The average duration of a lengthened stay is 45 days and program offered combined both holistic and traditional therapies while implementing SMART recovery treatment and 12-step treatment modalities. Clients are required to actively participate in all meetings for six hours a day, six days weekly. In the evenings, 12-step meetings take place. Other services such as individual, group, and family therapy are incorporated into weekly sessions. Clients participate in relapse prevention classes, art therapy, grief and loss counseling, addiction classes, recreational therapy, and more. The treatment center currently offers dormitory style housing around the Treasure Coast of Florida on 12 acres of land. The facility houses 72 adults according to their genders and depending on enrollment, clients share a room with each other. The facility offers different wings for both men and women. Several buildings are also located on-site including dining halls, detoxification center, game rooms, therapeutic center, lounges, and many more. A common room where clients can watch television is available but is only available during downtime and other devices such as laptops and cell phones are not allowed. Clients are free to take walks around the facility as the grounds are expansive and accessible. The facility offers a Zen waterfall where patients can meditate as well as participating in activities such as basketball and volleyball, throwing horseshoe on the lawn, and planting seeds and flowers in the organic garden. All clients are entitled to meals which are prepared by a four-star chef. Meals are also overseen by a licensed nutritionist and vegan options are available to individuals who desire such. The program takes place for 28 to 30 days depending on the client and is offered to clients 18 years and older. Treatment is offered in a supervised environment with 24-hour monitoring. This program involves an all-day treatment and it typically takes place six days a week for six hours daily. All treatment is individualized and 12-step meetings are encouraged. Florida Center for Recovery costs $17,500 for a 45-day treatment at the facility. Although, prices may vary depending on the program and therapy the client requires. The facility accepts most out-of-network and in-network insurance plans. Financial assistance such as lending is available to clients who are eligible for such through the American Healthcare Lending. Clients are encouraged to contact the facility for more important information. All programs offered at the facility are accredited by the Joint Commission and the organization is accredited by the Better Business Bureau (BBB). The treatment center understands the importance of wholesome care and as such offers multiple holistic therapies and services such as art therapy, auricular acupuncture, organized mindfulness meditation, personal training, serenity care, and many more. Other physical and recreational activities include basketball, volleyball, and even visits to the beach. These are all extras offered to clients registered at the facility. The ultimate goal of the facility is to provide well-structured, comprehensive, well-rounded, and individualized care to clients suffering from chemical dependency issues and many more. The individualized treatment plan focuses on creating protocols that treat the spiritual, mental, and physical aspects of the disorder, using both holistic and traditional methods.